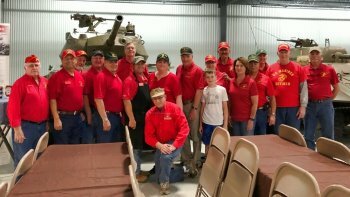 On March 26, 2019 members the BVMCL prepared and served the dinner for Poolee's and their families at the Museum of the American G.I. For about half of the 80 Poolees the dinner was a sendoff for bootcamp. 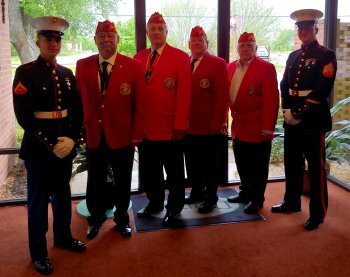 On March 15, members of the BVMCL supported the visit to the Woodlands Children's Hospital provided through the Devil Dogs. 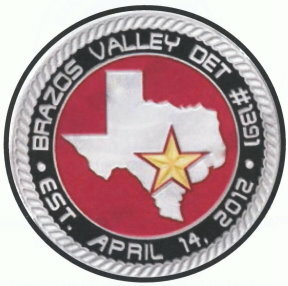 One of the functions of the Brazos Valley Marine Corps League is to attend funerals for fallen Marines and FMF Corpsmen in the Brazos Valley. 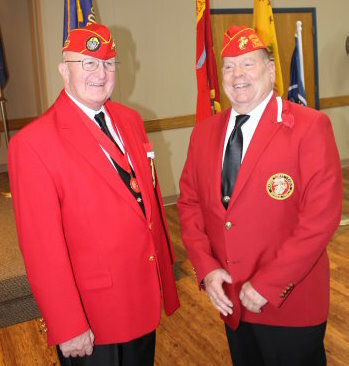 On March 8, 2019 members the BVMCL attended the funeral of a Marine Korean War Veteran. 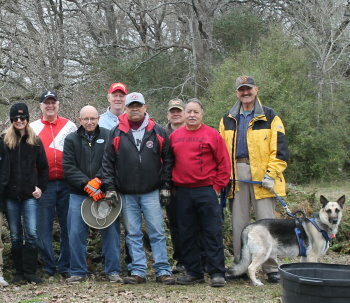 On February 16, 2019 members the BVMCL helped take the wreaths, which BVMCL members helped collect earlier from the Bryan and College Station cemeteries, apart for recycling. 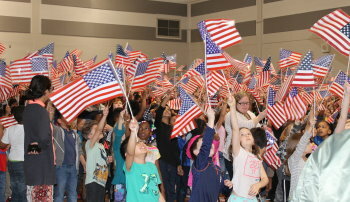 Members of the BVMCL attended the Sul Ross Elementary School in Bryan annual Valentines for Veterans and First Responders program on February 7, 2019. 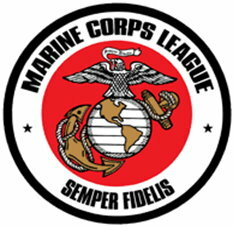 On January 17, 2019 the Brazos Valley Marine Corps League provided eight $500 scholarships to deserving Marines at Texas A & M. One was in class, so could not attend the ceremony. 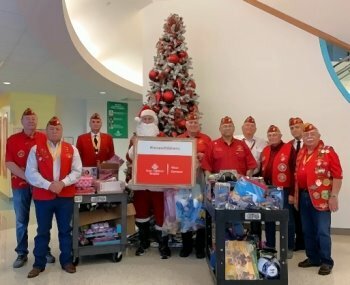 On December 19, members of the BVMCL supported Santa's visit to the Houston Children's Hospital provided through the Devil Dogs. 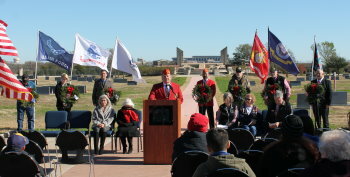 On December 15, members of the BVMCL placed wreaths on veteran's graves in the Bryan City Cemetery and participated in the Wreaths Across America ceremony at the Field of Honor in College Station. 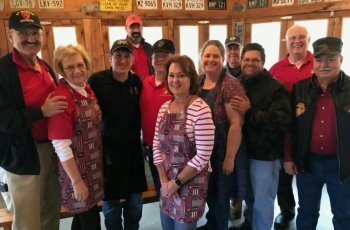 On December 14, members of the BVMCL packaged and delivered smoked briskets, which helps provide funds needed to support BVMCL scholarships to deserving Marines at Texas A & M. Supporters H.E.B. 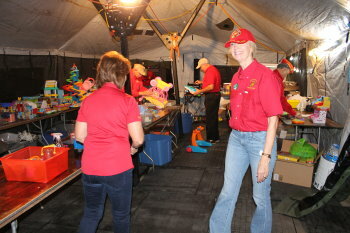 and Rudy's helped make the fund raiser a great success. 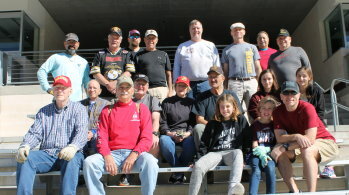 On December 2, 2018 the BVMCL members performed one of their primary fund raisers, that of removing seatbacks from Kyle Field. 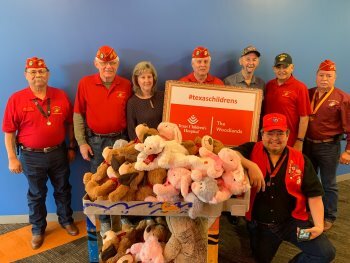 On November 30, members of the BVMCL help collect, sort, and package toys collected for underprivileged kids in the Brazos Valley. Over the November 10/11 weekend members of the BVMCL celebrated the 243rd Birthday of the United States Marine Corps and participated in a number of Veterans Day celebration events. 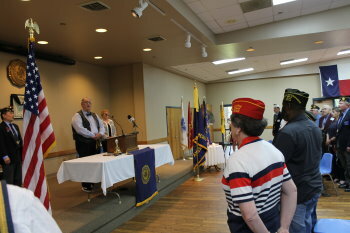 On Monday, May 28, 2018 members of the Brazos Valley Marine Corps League participated in the Memorial Day ceremony at Post 159 of the American Legion. 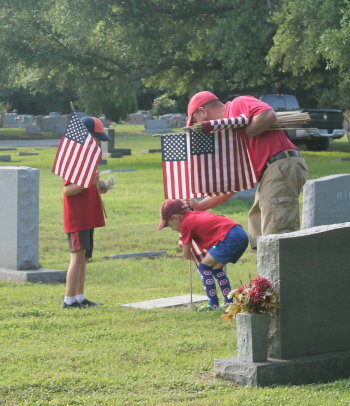 On Saturday, May 26, 2018 members of Detachment 1391 of the Marine Corps League placed flags on veteran’s graves at the Bryan City Cemetery.